Using only the finest components to create a high performance, affordable ammunition, German-made Geco ammunition is backed by more than a century of experience in ammunition manufacturing. Part of the Ruag group featuring RWS, DAG and Dynamit Nobel, Geco is a name that is trusted by hunters and target shooters all over the world. 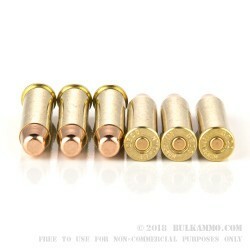 GECO .357 Magnum ammunition is loaded with a 158-grain full metal jacket projectile inside a boxer-primed, noncorrosive reloadable brass case. 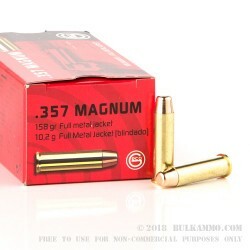 Capable of a muzzle velocity of 1296 FPS, these .357 rounds provide consistent patterns and are a great option for target shooters and plinkers of all skill levels. 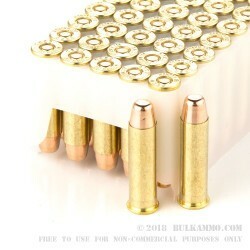 Each case of .357 Magnum comes with twenty, 50 round boxes.